With eyes upraised and by joining hands through increased fellowship we seek to extend to all the way, love and hope of Jesus Christ. 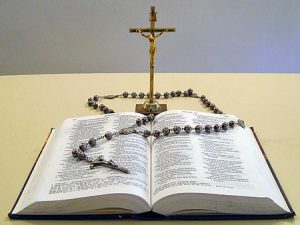 Why Join St. Margaret Mary’s Rosary Hour? Share your life and your prayers with others. You have the desire to pray for our priest, community and families. You want to impact the community of St. Margaret Mary with your prayers. Contact Rose Avila for more information.